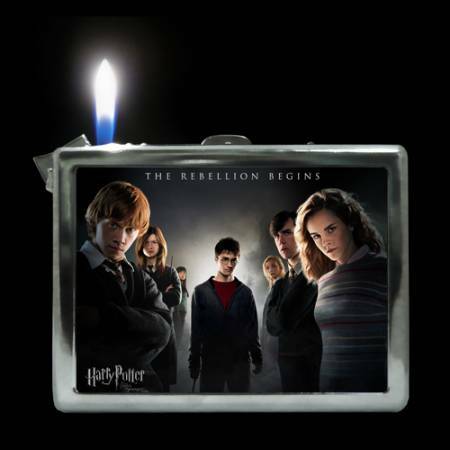 The Strangest Ever HARRY POTTER Merchandise | Warped Factor - Words in the Key of Geek. There are very few franchises as big as Harry Potter. Nearly a decade on from the seventh and final book release, and five years after the cinematic adaptations were completed, it's still as popular as ever. Fans await a new spin-off movie, a stage play (or two), and who knows, mmmmaybe a literary return to the world of magic from author J.K. Rowling. These will come in handy if you need to protect your wand when entering your partners chamber of secrets! 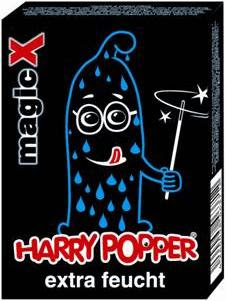 These completely unofficial condoms were very cleverly called Harry Popper by their Swiss manufacturer, presumably in an attempt to avoid any copyright infringement. I didn't work, Warner Bros. sued, and the condoms were withdrawn (sorry). 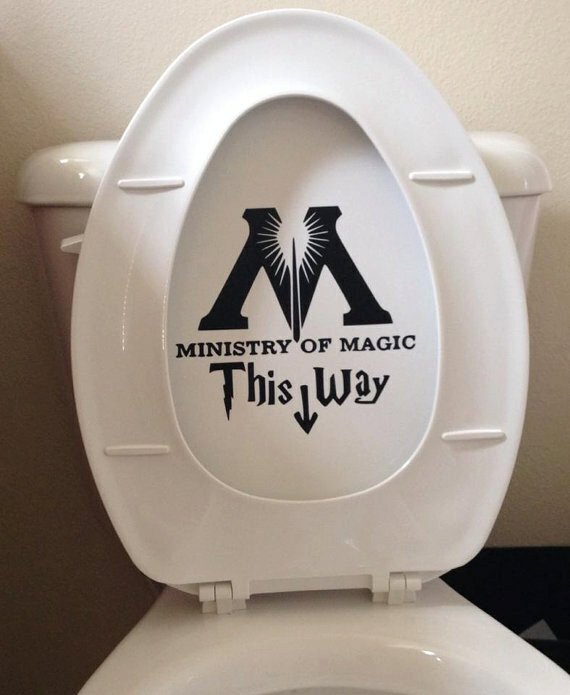 Stick this on your loo and you know they'll come a day when you'll be rescuing some poor misguided muggle who's found themselves stuck in the u-bend. I don't know, maybe these are served for breakfast at Hogwarts? 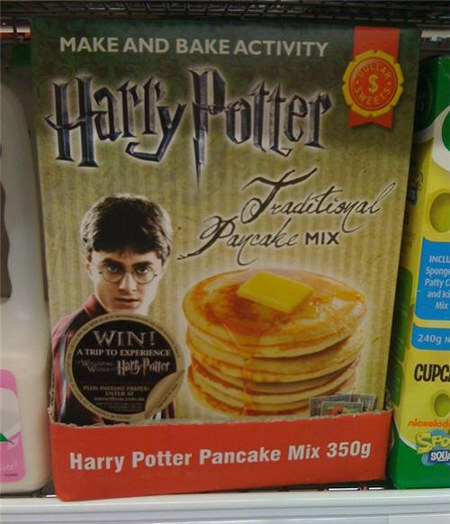 But when was the last time you 'baked' a pancake? The smoking rebellion begins! This Summer, catch Harry, Ron and Hermione behind Hagrid's hut as they share their first pack of Rothmans. Yep, no one's buying that, are they? Clearly Ron's been a 20 a day man since that incident with Aragog the spider. You know that bead type thing that your Nan used to hang from the door to separate the kitchen from the dining room? Or like Fran had on her bric-a-brac shop in Black Books? 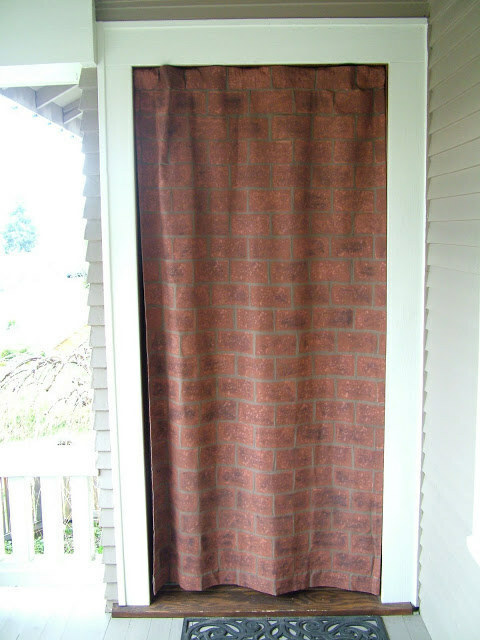 Well now you can replace it with a Harry Potter themed brick wall. Because why wouldn't you? Of course, the real fun is to be had if you drill a couple of holes into an actual wall and suspend this bit of tat there. Then get your Potter loving friends around and tell them as they go from room to room they can now pretend it's Platform 9 3/4. Then sit back and watch them run at it. That will never get old. 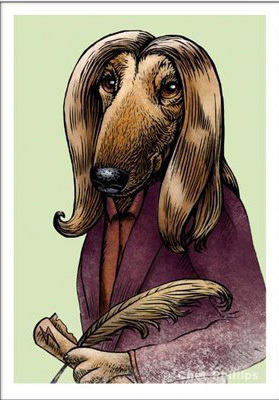 For the Harry Potter fan who has everything, and I mean everything, exhaust every single other option first before buying them a portrait of J.K. Rowling as an Afghan hound. Or should that be J.K. Howling? 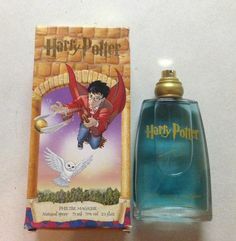 I don't know what it smells like (butterbeer perhaps? ), but it sure beats the dog picture in the gift stakes. See? What did I tell you? Grab those Harry Popper prophylactics. Nothing wrong with this, you may think. 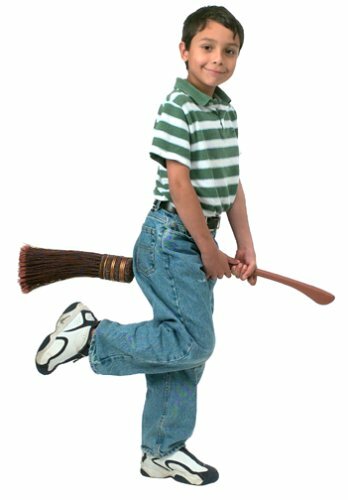 A perfectly harmless replica broomstick marketed for 8 year olds to play with. Oh, did we mention? If you flick the switch there's a vibrating function, something that proved quite popular with a slightly older consumer. 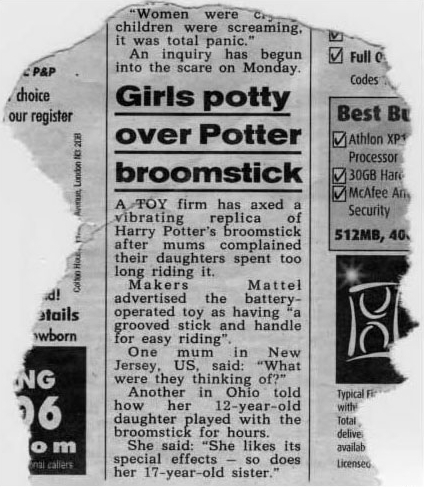 "I'm 32 and enjoy riding the broom as much as my 12 yr old and 7 year old"
Thanks to the lack of copyright laws in certain countries there are a whole host of totally unofficial stories featuring Harry and his friends in new, very weird adventures. 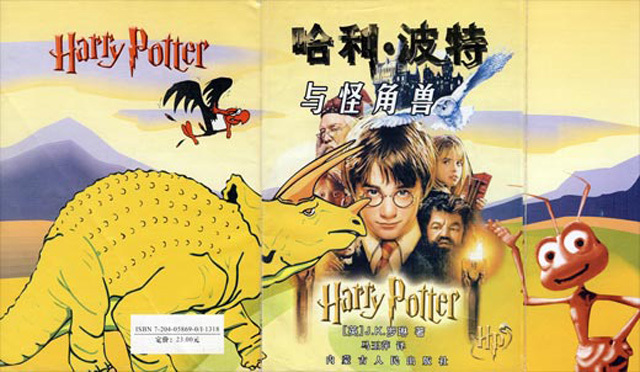 You could do a lot worse than checking out this very fine article from 11points.com which features some of the best Chinese novels available, amongst them is Harry Potter And The Leopard Walk-Up-To Dragon (really), Harry Potter And The Chinese Overseas Student (really really), and my personal favourite Harry Potter And Beaker And Burn. In this literary classic, Harry has an all new adventure with a triceratops, a buzzard and Flick from A Bug's Life. J.K. Rowling eat your heart out. And that (especially that) is the strangest ever Harry Potter merchandise.